Now Available in Retail Stores and Online! Get ready to reignite, reimagine, and repurpose your prayer life while experiencing greater intimacy with God. This is an invitation to identify your elephants – to name, through specific and strategic prayers, the 100 most important and audacious petitions you can imagine. These are the prayers that – if answered by God – would be game changers in your life and perhaps the world. Christian parents would love to connect their kids’ lives with God, but most do not have the tools they need to make God a moment-by-moment reality in their family. In Give Your Kids the Keys, parents will find all they need to integrate God’s presence into every aspect of their family’s life! They will better understand the stages of their children’s spiritual development and be inspired by a holistic vision of their kids’ potential to connect deeply with God at any age. And once they grasp the big picture of their family’s life with God, moms and dads will discover practical ideas for fun, meaningful activities that will allow each family member to experience God’s amazing presence. 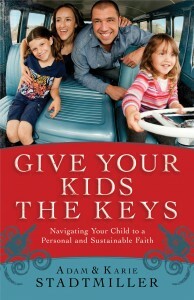 give your kids the keys promo from Brothers Nelson on Vimeo. 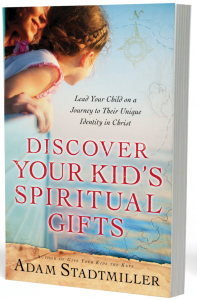 In this accessible and practical guidebook, moms and dads will encounter the biblical evidence for childhood spiritual gifts as they look closely at the stories of David, Mary, Samuel, and Jesus–all young people who demonstrated God’s gifts at work in their lives. Next, parents will begin to identify their children’s spiritual gifts through a uniquely designed assessment tool. And finally, they’ll discover specific ways to help their children serve the Body of Christ through their gift or mix of gifts. Discovering Your Kids Spiritual Gifts from Brothers Nelson on Vimeo.